Veil your lids (or lips…or cheeks…) in stunning, crease-proof shimmer with this luscious crème from Cover FX. Perfect for subtle hints of everyday shimmer – as well as more dramatic sparkle when you build it up – this fabulous formula is available in six sublime shades. There’s holographic, multi-dimensional ‘Halo’, glistening pearl ‘Celestial’, iridescent lavender ‘Amethyst’, shimmering topaz ‘Moonstone’, champagne blush ‘Magic’ and peachy pink ‘Soleil’. 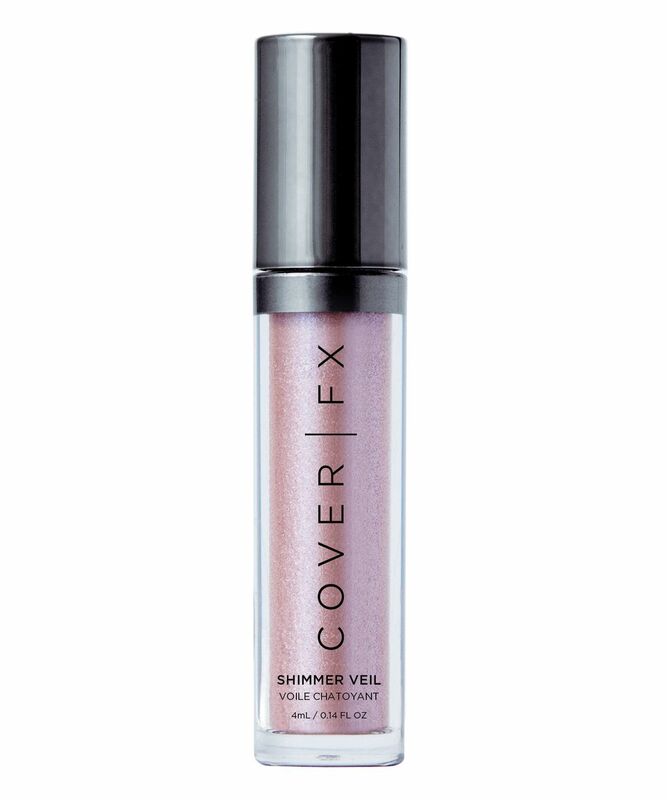 Meet your lids’ new best friend: Cover FX’s Shimmer Veil, a stunning, crease-proof shimmer crème that imparts luscious metallic colour in six sublime shades. Perfect for eyes but also great on lips and beyond, the formula can be used lightly for an everyday, subtle shimmer, or built up for dramatic, all-out gleam. The hues are to-die-for: there’s holographic, multi-dimensional ‘Halo’, glistening pearl ‘Celestial’, iridescent lavender ‘Amethyst’, shimmering topaz ‘Moonstone’, champagne blush ‘Magic’ and peachy pink ‘Soleil’. And, as an added bonus, this – like all Cover FX products – is vegan, cruelty free and made with safe, high-performing ingredients free of parabens, gluten, talc, mineral oil and fragrance. Use on eyes and lips, layering up for a more intense effect.